Before he embarks on directing the prehistoric sequel to Jurassic World, director J.A. Bayona presents a film that features a much different kind of monster. A Monster Calls tells the intimate story of young Connor O'Malley. Connor's life is in shambles. His schoolmates bully him and leave him emotionally and physically battered. At home, his single mother (Felicity Jones) bravely faces terminal cancer. Connor's estranged father lives with his new family in America, so it looks like Connor will have to move in with his stern grandmother played by Sigourney Weaver. One evening, Connor encounters a monster that emerges from the large tree outside of his home. Liam Neeson brings a perfect balance of menace and wisdom to the voice of this animated creature. The monster informs Connor that he will tell the boy three true stories. At the completion of the third story, Connor must tell the monster a story of his own truth. Neeson's booming voice narrates as each story unfolds in the form of beautifully rendered watercolor animations. These fables intersperse with Connor's domestic drama and culminate in a crescendo emotion and self-discovery. 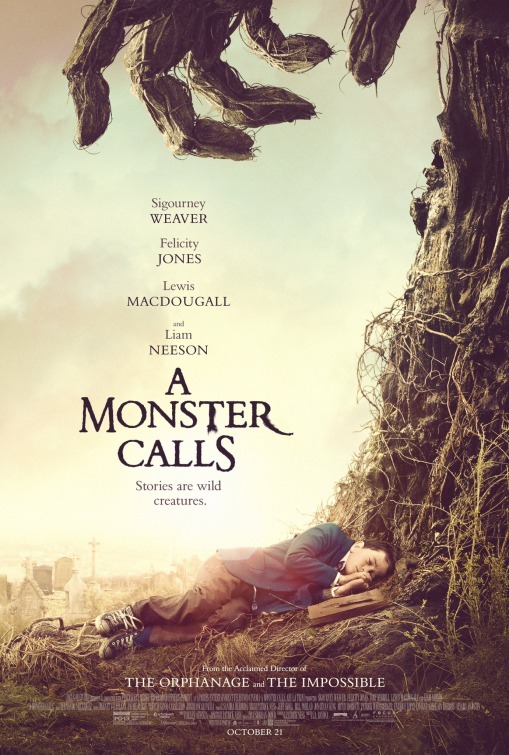 Based on the novel by Patrick Ness, A Monster Calls brilliantly combines fantasy with the raw emotion of a child coming to terms with the mortality of his mother. Patrick Ness follows in the footsteps of other authors including Gillian Flynn and Emma Donoghue by providing a screenplay of his work that both preserves the intent of the novel while effortlessly adapting to the different medium of film. Lewis MacDougall brings an honesty to his role as Connor, effortlessly shouldering the emotional momentum of the entire film. MacDougall's performance is juxtaposed by a masterful turn by Sigourney Weaver as his grandmother. With Bayona at the helm, A Monster Calls is a modern day fairytale that sails through the difficult topics of love and loss while maintaining a heart and imagination that makes it one of the most unique and emotionally satisfying films of the year. "Evil is simple. It's a child's explanation for why people do bad things. The truth is always more complicated and worth pursuing." There were many versions of Hattie Hoffman. To her parents Hattie was the perfect child. She affably joked with her mother and father, doing her part to fill the void left by her military brother. At school, Hattie took on other roles. She earned solid marks in her classes and did her part to befriend her classmates. For her best friend Portia, Hattie played the part of trusted confidant. With her boyfriend Tommy, Hattie was the reliable arm candy. She accompanied him to all of his outings and did her part to agree with and encourage him. Who is Hattie Hoffman? That's what Pine Valley Sheriff Del Goodman has been trying to figure out. Her mutilated body was discovered in an abandoned barn, and now Del has to identify her killer. For Del, the case is personal. Pine Valley is a small town that doesn't see much excitement. As such, the entire city is abuzz with the story of the brutal crime. To complicate matters even more, Del is good friends with Hattie's father. As the details of Hattie's final hours come to light, Del precariously balances his professional and personal obligations while revealing the shocking truth behind the girl who everyone loved. 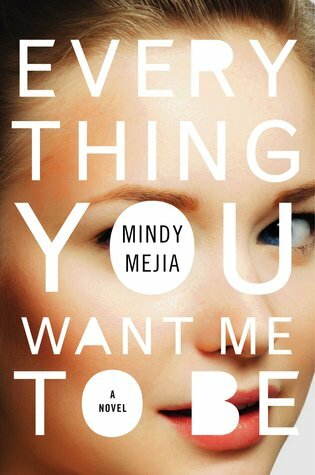 Everything You Want Me to Be is a remarkable novel by Mindy Mejia. Mejia employs shifting perspectives in each chapter to bring about a suspenseful reveal. I've grown a bit tired of this particular technique, but there is no denying that Mejia uses it to maximum effect. It's difficult to comment in detail on this novel without giving too much away. Suffice it to say, I was immediately grabbed by the story and breathlessly turned the pages until the novel concluded. While each character had their flaws, I feel it only added to the authenticity of the world that Mejia created. Everything You Want Me to Be is a brilliant character study and page-turner that fans of great mysteries are sure to enjoy. If this sounds like a novel you would like to read, enter to win a copy courtesy of Atria Books. US entries only. No P.O. boxes please. Winner will have 48 hrs from contact to respond. "In the haylofts of life, there are always a few wasps." 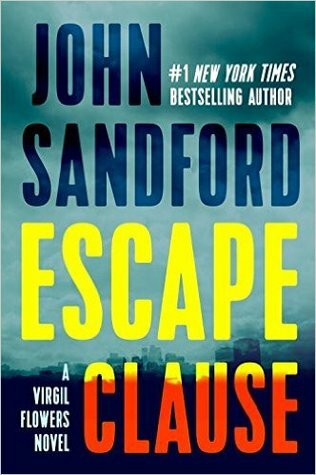 After taking a break from the character to pen sci-fi thriller Saturn Run, John Sandford returns to his Virgil Flowers series with Escape Clause. Virgil Flowers is the eccentric lead investigator for the Minnesota Bureau of Criminal Apprehension (BCA). Over the years his investigative prowess has garnered him as much recognition has his unconventional methods and personality. The ninth novel in the series opens with Flowers, unsurprisingly, skinny dipping with the likes of his girlfriend, her sister, and a priest. The group's reprieve from the summer heat is soon interrupted by the ring of Flower's cell phone. Two endangered tigers have disappeared from the Minnesota Zoo and the BCA wants Flowers to intervene. While he is hesitant, especially given the fact that he recently searched for a pack of missing dogs, Virgil is assured by his boss that successful retrieval of the missing felines will ensure he never takes on an animal related case again. 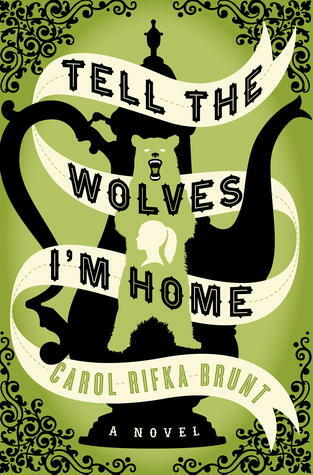 As Virgil delves into the underworld of trading illegally procured animals, trouble on the home front begins to brew. His now serious girlfriend Frankie and her sister Sparkle have found themselves caught up with a rough crowd. Sparkle has been investigating a local factory's mistreatment of migrant workers. The people who run it are less than enthused. Because of the familial relationship, Virgil is prohibited from taking part in any formal investigations. That does little to keep the action from finding him. Virgil Flowers is easily one of my favorite characters in modern mystery fiction. John Sandford's bare prose and quick pacing are the perfect fit for Flower's matter-of-fact personality. I always marvel at the way Sandford manages to keep the suspense wound and the pages turning even when we know exactly who is involved with a crime. The thread about the missing tigers had many twists and turns. So much so, that the subplot about Sparkle ended up feeling like an underdeveloped distraction. This did little to take away from my enjoyment of the novel, but I don't feel like it added much to the story. While you don't have to read the previous novels to understand this one, I highly encourage it. For one, they are great books! More so, it is fun to see the way Virgil Flowers has evolved over the series. 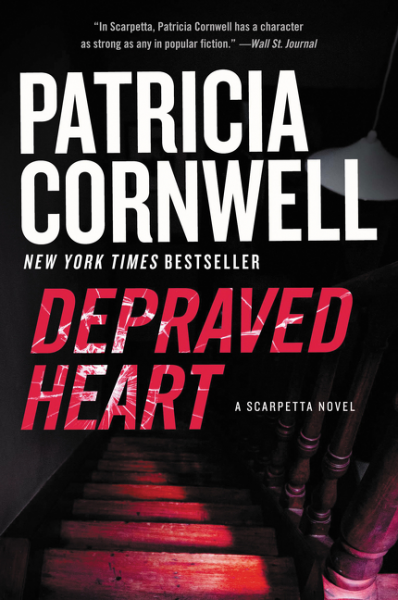 I devoured this installment in a couple of sittings, and can't wait to read what happens next. My name is Andrew Joyce and I write books for a living. 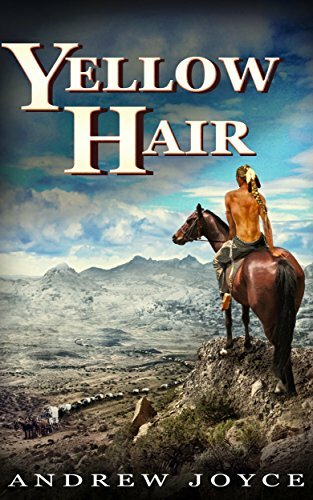 I would like to thank Ethan for allowing me to be here today to promote my latest, Yellow Hair, which documents the injustices done to the Sioux Nation from their first treaty with the United States in 1805 through the Wounded Knee in 1890. Every death, murder, battle, and outrage I write about actually took place. The historical figures that play a role in my fact-based tale of fiction were real people and I use their real names. Yellow Hair is an epic tale of adventure, family, love, and hate that spans most of the 19th century. Through no fault of his own, a young man is thrust into a new culture just at the time that culture is undergoing massive changes. It is losing its identity, its lands, and its dignity. He not only adapts, he perseveres and, over time, becomes a leader---and on occasion, the hand of vengeance against those who would destroy his adopted people. Now that the commercial is out of the way, we can get down to what I really came here to talk about: the research that goes into writing a historical novel or an action/adventure novel that uses a historical event as a backdrop. I want to say that I learned the hard way how important proper research is. But it wasn't really that hard of a lesson. In my first book, which takes place in the last half of the 19th century, I made two mistakes. I had the date of an event off by one year and I had my hero loading the wrong caliber cartridge into his Winchester rifle. I would have gone blissfully throughout life no knowing how I had erred if not for my astute fans. Both mistakes were quickly pointed out to me in reviews of the book. One guy said he would have given me five stars if not for the wrong caliber bullet mistake. I had to settle for only four stars. Lesson learned! Before I get into telling your about the year-long research I did for Yellow Hair, I'd like to tell you how I researched my second and third books and describe what that research entailed. My second book was a western and the protagonist was a woman. The research took about three months. I had to know everything from women's undergarments of the late 19th century to prison conditions for women in those days. (I sent my heroine to jail.) That kind of research was easy. Thank God for the internet! But then I had to do some real research. 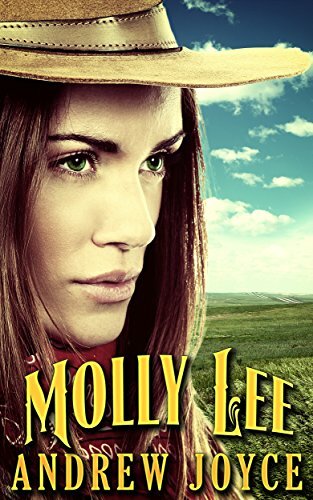 Molly (my protagonist) built up her cattle ranch to one of the largest in Montana, but she and her neighbors had nowhere to sell their beef. So Molly decided to drive her and her neighbors' cattle to Abilene where she could get a good price. She put together the second largest herd on record (12,000 head) and took off for Abilene. That's when I had to really go to work. I wanted my readers to taste the dust on the trail. I wanted them to feel the cold water at river crossing. I wanted them to know about the dangers of the trail, from rustlers to Indians to cattle stampedes. That's when I went looking for diaries written by real cowboys while they were on the trail. 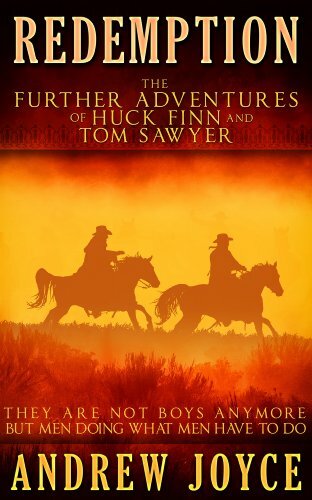 After that, I found obscure self-published books written by those cowboys. Then it was onto newspaper articles written at the time about large cattle drive. That's how I had Molly herd the second largest cattle drive. For the record, I discovered the larges was 15,000 head, driven from Texas to California in 1882. My next book took place in the Yukon during the Klondike Gold Rush of 1897. Here new elements were added such as wolves and the extreme weather as adversaries. Dogsledding was also involved. I have seen snow only three times in my life and I have never dogsledded. I knew even less about wolves. I had to learn about those things. 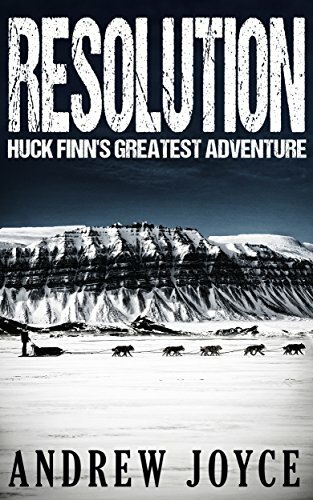 I had no idea what it was like to travel across a wilderness on a dogsled at seventy degrees below zero. I also had to acquire knowledge about the dogs themselves, especially the lead dog. I learned about all that by doing the same things I did for my second book. The old diaries were the most helpful. As to the gold rush, there was plenty of material in the form of self-published books by some of the participants. Some were never even published, but I found copies of the manuscripts in the archives of universities and historical societies. Again, newspaper stories printed at the time were very useful. Concerning wolves . . . I read everything I could get my hands on about wolves---their habits, the pack hierarchy, the alpha male, and the different jobs of tastes the males and females have while hunting. Now we come to Yellow Hair. As I mentioned above, the book is about the Sioux Nation from 1805-1890. I had to know both sides to the story, the white man's and the Sioux's. Getting to know the whites' take on things was easy. There are many, many books (non-fiction) that were written at the time. I even found a book written by Custer detailing his strategy for wiping out the Sioux entirely. That was a hard reading! And again, there were universities and historical societies whose archives were a great help. As to the Sioux's point of vies, there are a few books that were dictated to newspapermen years later by the Indians that took part in various battles that I weave into my story. I found a lot of material from Native American participants of the Little Big Horn, written twenty to thirty years after the fact. But I wanted to immerse myself in the Sioux culture and I wanted to give them dignity by using their language wherever possible. I also wanted to introduce them by their Sioux names. So, I had to learn the Lakota language. And that wasn't easy! There is a consortium that will teach you, but wanted only serious students. You have to know a smattering of the language before they will even deign to let you in. I had to take a test to prove that I knew some Lakota. I failed the first time and had to go back to my Lakota dictionary and do some more studying. I got in on my second try. I'm running out of space, so I reckon I'll wrap it up. I hope I've given you a little insight into the research process. It's time-consuming and sometimes frustrating. But it is also a blast! Every new discovery is like finding the motherlode. I would like to thank Ethan once again for having me over and you good folks for tuning in. "Break down the self, offer yourself up like dust to the universe." Evie Boyd's life is in a kind of crisis. A teenager towards the end of the 1960's, she has few friends and her parents have gotten a divorce. While her dad chases younger women, her mother falls for loser after loser. Evie finds herself a stranger in her own home. All of that changes when she sees a mysterious group of girls at the park. She is drawn to the carefree and unconventional way the girls dress and carry themselves. To Evie, the girls represent everything that is missing from her life. She quickly becomes enthralled by the older girl of the group, Suzzane, who accepts her as part of their gang. Evie's obsession is only amplified by her parent's disapproval of her new friends. When she finally goes to the group's ranch and meets their enigmatic leader Russell, Evie makes up her mind. These are the only people who understand her. She belongs at the ranch. Intoxicated by her life at the ranch, Evie may be too blind to see the dark undercurrent to Russell and his followers. Blinded by the youthful bliss of acceptance, Evie finds herself under the influence of a cult about to exact unimaginable violence. The Girls is a brilliant debut novel by author Emma Cline. Since Cline sold her manuscript for a reported 2 million dollars, the book has been the subject of persistent hype. Such buzz nearly takes away from the achievement of this work. 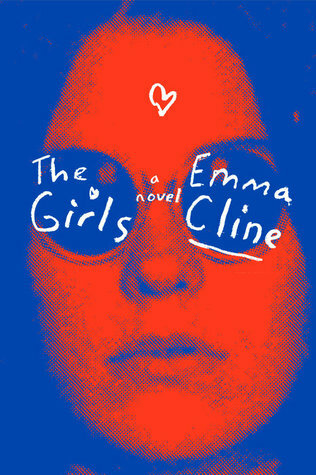 I went into the novel expecting a salacious retelling of the Manson Family crimes, but The Girls is more of a quiet coming of age story that just happens to be framed around this point in history. Cline uses the notoriety of these cult driven crimes to create an ever present tension to the novel. The novel alternates between the story of young Evie succumbing to the influence of the group with that of an older Evie recollecting on her nearly tragic youth. While I feel that the practice of alternating narratives has become too overused in modern literature, Cline masterfully manages these changes. The Girls may have been overshadowed by the hype that surrounded it, but that doesn't take away from the fact that this is a remarkable read and extremely promising debut.